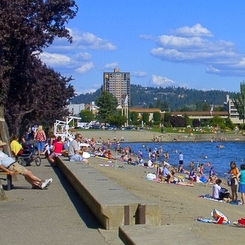 856 listings in the city of Coeur D'alene with an average list price of $586,764 and a median list price of $349,900. 623 listings in the city of Post Falls with an average list price of $437,068 and a median list price of $305,900. 372 listings in the city of Hayden with an average list price of $495,737 and a median list price of $351,126. Want a little more room to spread out? Want the live the dock lifestyle?